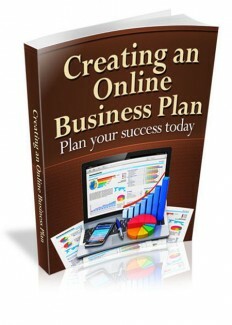 Your online business requires a business plan just like a traditional business does. Part of that business plan will be putting together your operations plan. Because this is an online company, your place of operation will house only the computer equipment needed to access the internet and your company files and records. In most cases, at least in the beginning, your online business will often be located at your residence, which will minimize your startup costs. As your business becomes established and grows, there is often no advantage to having an online business in one geographic area rather than another. There is generally no need for your business to be tied to any specific physical location as shipping can occur from anywhere in the world and e-goods change ownership online. You will need to establish how you will produce your goods or services for your business. Producing in-house can often save money. However, sometimes that’s not an option for various reasons. You will need to outline the how's and why's of what you are doing in the production field. For example, your website development will be done by a professional web building company that has experience in HTML and PHP, as well as building e-commerce sites. Search engine optimization will be done partially in-house and partially by a company that specializes in SEO. Building links will be outsourced. Defining who will be responsible for the various components of your online business operations needs to be clearly defined and the cost associated with these tasks should also be included. This will help potential investors and lenders better understand and it will also constantly provide the guide for you in the running of your business. You need to keep in mind that some terms that you refer to such as SEO or search engine optimization may not always be understood by potential lenders or investors; therefore, it is a good idea to clearly define what these things are and what their relevance is to your business success, otherwise an investor or lender could potentially see this as a waste of money, which is simply not so. When you are defining, the operations of your business assume that those who will be reading your business will have no idea what you are doing or what your online business is about. In fact, assume that they do not understand the online business world at all. By doing so you will do a much better job of explaining and defining, what your business is about. The very first thing you are going to do when you decided to start a new business should be your business plan and that applies to both traditional and online business ventures. Your business plan is designed to outline your business strategies, how you plan to make your business a success, your marketing goals, your financial needs, and your overall blueprint to success. It will be used by you as the business owner to stay on your business path and it will be used by potential investors and lenders to help them decide whether your business venture interests them, whether they think your business venture is a viable investment opportunity for them. For that reason alone, you should make sure you take the time to create the best business plan you can. An online business is generally much different than a traditional business and your business plan needs to reflect that. In addition, your business plan must make sure that it details the nuances of your online business that investors may not be aware of or may not understand. You can begin writing a business summary. If your business is strictly online then you need to break down all the components of operating an online business You need to include things like what you will offer, how will you get customers, who will run your business, where will your business be located? Next you want to create your marketing plan that will delve into the research behind your market and include pricing, markup, advertising, building your brand, etc. Make sure the information is current and relevant. You will also want to include all the details related to your management team and their various duties. Often with online businesses this is a minimal number of people. You’ll also include your business schedule both current and long term. This would be things like when is your site going live, will you be getting a loan? Basically, you want to outline the key growth points to give the reader a picture of where you visualize your business going. Of course, you’ll need to cover your financial plan. Your startup capital, and whether you need to borrow some or all of it, your operating costs, your projected sales and profits in six month increments for at least a couple of years, but five is best. Finally, you need to write your executive summary that pulls the main points into a summary that helps the reader decide if they want to learn more by reading the full report. Marketing is an important part of your online business success and as such, it is important that you make sure your business plan thoroughly details what your marketing plan looks like. Investors will look at this and the information will be helpful for them in making their decision, but as a business owner you will also use this information to help keep you on track and to later evaluate whether you were successful at achieving your marketing goals. Your business operations will be centered around your marketing plans and the image you are striving to create. Your marketing will strive to create ‘branding’ for your company and it will focus on making you visible. Online this requires a different skill set than what would be used in a traditional business. Your business will set standards to adhere to make your company appear credible to the consumer market to grow your business and ultimately your revenue. Let’s look at what your marketing plan needs to address.